Recipients of the inaugural awards represent the best environmental efforts in schools across U.S.
PITTSBURGH – April 4, 2016 – Environmental champions from across the country – including individuals, schools, programs and events – have been named the first-ever recipients of the inaugural Best of Green Schools awards. The Green Schools National Network, in partnership with The Center for Green Schools at the U.S. Green Building Council (USGBC) announced the 2016 winners at the Green Schools Conference and Expo, the largest gathering of its kind in the nation. The awards recognize the best environmental efforts in schools across the country and spotlight national leaders and innovators in school sustainability during the past year. K-12 School – Environmental Charter Schools (Los Angeles, Calif.) — The Environmental Charter Schools (ECS) create vibrant, innovative, interdisciplinary learning opportunities using the environment to engage students and connect them to the wider world. ECS shares its best practices through the Green Ambassador Institute, a professional development program for educators and organizations looking to implement hands-on sustainable education. School System: Fayette County Public Schools (Lexington, Ky.): This system has embraced the three-pillar model of sustainability to holistically address environmental literacy, building performance and student wellness, and leveraging students’ passion and leadership in all three areas. Higher Education Institution – Wings of Hope Environmental Education Program at Florida Gulf Coast University (Fort Myers, Fla.): The Wings of Hope program seeks to protect the Florida panther and its habitat through transformational environmental education, research, and awareness. The program engages thousands of 4th and 5th grade students in conservation through education and action. Policy Maker – Representative Chris Lee (House District 51, Hawaii. ): Rep. Lee sponsored House Bill 1509, which mandated that Hawaii’s entire public higher education system operate as net zero by 2035. Hawaii’s energy leadership has been regarded as the most cutting-edge energy policy activity in the nation. Collaboration – Space to Grow: Greening Chicago Schoolyards (Chicago, Ill.): Space to Grow is transforming Chicago schoolyards into safe, accessible spaces for students to play, explore and learn. The program connects families and communities with their local schools by engaging community members in the schoolyard design process and by providing much-needed green space in heavily urbanized neighborhoods. Transformation – USGBC Louisiana Green Schools Initiative (Baton Rouge, La. ): This initiative has invested significant time, energy and resources to transform school communities and expand the green schools conversation across the state. Through a number of programs, including the Louisiana Green School Challenge, USGBC Louisiana has engaged over 100 schools, more than 250 teachers and 15,000 students over the past three years. Student Leadership – Hammond Junior High Magnet School (Hammond, La. ): Through the USGBC Louisiana Green Schools Challenge, the Magnet School student Green Club has transformed the school community, planting a schoolyard garden, initiating a recycling program, including the negation with a local entrepreneur to start a recycling company to service the school, and requesting the school board send the green club the school’s energy bills for analysis and performance tracking. Moment for the Movement (Tie) — Green Schools Alliance District Collaborative (Washington, D.C.): Comprised of 21 U.S. school districts – eight of which are the 12 largest districts in the country – the Collaborative’s mission is to leverage its collective knowledge, experience, and influence to accelerate the implementation of sustainability principles that incorporate sound environmental, economic, and equitable decisions in schools. Collectively, these districts affect the lives of 3.6 million children and operate more than 550+ million square feet of space. Moment for the Movement (Tie): Research Summit on Childhood Health and School Buildings (Washington, D.C.): Last year, the Collaborative for High Performance Schools, the American Institute of Architects Committee on Architecture for Education and the Center for Green Schools hosted the first-ever Research Summit on Childhood Health and School Buildings. The summit brought together leading thinkers for a day of collaboration around one of the most pressing concerns of the green schools movement: the health of children as impacted by the environments in which they learn. Ambassador – Deborah Moore, Green Schools Initiative (Berkeley, Calif.): Under Moore’s leadership, the Green Schools Initiative helped to protect children’s health, promoted new funding sources for green schools, and launched the Nature’s Voices Project to amplify students’ role in the green schools effort. Business Leadership – Pauline Souza, WRNS Studio Partner and Director of Sustainability (San Francisco, Calif.): Souza has dedicated her 30+ year career to building and advocating for high-quality sustainable educational environments by working with school administrators, educators and students to bring sustainable values into the educational community. 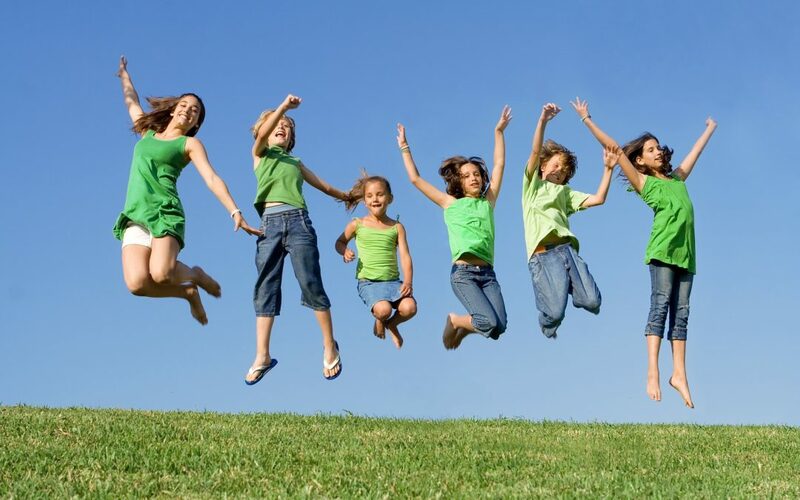 The Green Schools National Network (GSNN) advances the national green and healthy schools movement by connecting like-minded and passionate education, non-profit, corporate and public sector individuals and organizations. GSNN is nationally recognized as the premier partner in advancing collaboration to integrate a green and healthy culture in schools to ensure that current and future generation of students are environmentally literate as well as practice and promote sustainability in their community. The Center for Green Schools at the U.S. Green Building Council’s mission is to make sure every student has the opportunity to attend a green school within this generation. The Center sits at the intersection of buildings, curriculum and community and works directly with teachers, students, administrators, elected officials and communities to create programs, resources and partnerships that transform all schools into healthy learning environments. High-performing schools result in high-performing students, and green schools go far beyond bricks and mortar. The Center advances opportunities to educate a new generation of leaders, including sustainability natives, capable of driving global market transformation. To learn more please visit http://www.centerforgreenschools.org.